Four charming Broadway classics combine for a whirl around the dance floor in three quarter time. Well-crafted vocal lines and a buoyant piano accompaniment make this 4-minute medley especially appropriate for choirs from high school through adult. 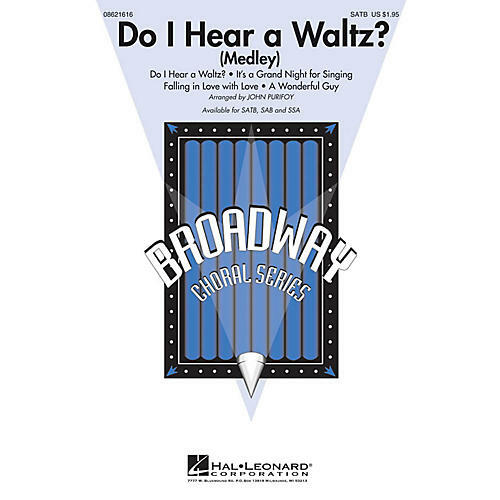 Includes: Do I Hear a Waltz?, Falling in Love with Love, It's a Grand Night for Singing, A Wonderful Guy. Available separately: SATB, SAB, SSA. Duration: ca. 3:50.